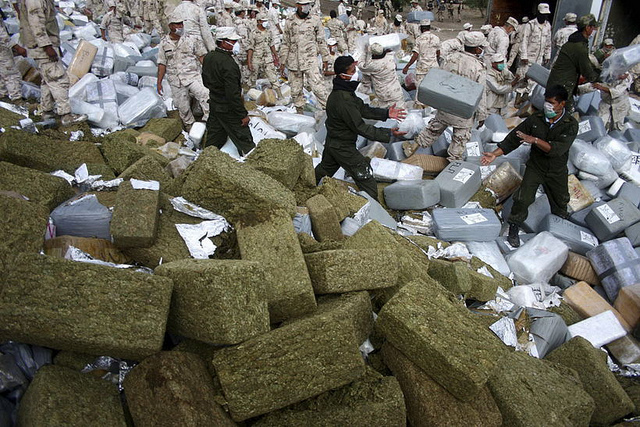 Legal marijuana in the U.S. is destroying Mexican drug cartels’ efforts to profit off of illegal weed smuggling. The legal marijuana industry in the United States is booming. In 2014, Colorado generated roughly $70 million in tax revenue from the legal sale of marijuana, and it is just one of the 23 states that have legalized some form of marijuana use/sale. Americans are rushing to legal dispensaries that offer a unique experience and wide selection of quality marijuana in lieu of purchasing the green stuff from black market dealers. The choice to purchase marijuana from dispensaries instead of dealers is impacting Mexican farmers who have profited off the cultivation of marijuana for decades. The Los Angeles Times reported that the town of Sinaloa, one of Mexico’s largest marijuana cultivators, is slowing production. Over the past four years, farmers in the town watched the price of 1 kilogram of their marijuana fall from $100 to $30, a 70% drop. Officials suggest that because of the price drop, farmers have not only slowed production, but cartels are smuggling less marijuana into the States. In 2014, customs and border authorities seized 1,085 tons of marijuana on its way to black market dealers. This was seen as a sudden decrease considering between the years of 2009 and 2013 authorities were easily confiscating 1,500 tons annually. The incentive for farmers to grow marijuana is no longer evident in Mexico. For years, the Mexican government offered subsidies to farmers to encourage them to grow crops other than marijuana. But marijuana prohibition in the United States kept the market price of Mexican marijuana high enough that many farmers chose to accept “subsidies” from drug cartels instead. 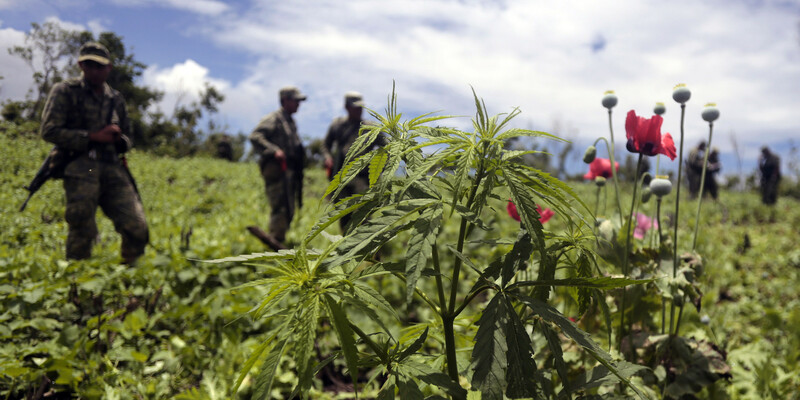 In 2010, Mexican authorities destroyed nearly 44,000 acres of marijuana crops that were controlled by cartels. In 2015, however, authorities only destroyed 12,000 acres. It is possible that on some level that the reduction of crop eradication is the result of corruption. Mexican law officials are often suspected of being financially involved with drug cartels, and if the profit margin for marijuana is dropping, it may be in the best interest of corrupt authorities to allow as many of the plants to grow and be harvested as possible—just speculation of course. The marijuana that is often smuggled from Mexico is a very low grade. Now that Americans have legal options to the quality and type of marijuana they consume, there is very little interest in buying the brown, seed and stem laden “brick weed” that notoriously originates in Mexico. Hell, according to the DEA Mexicans are even turning their backs on the brown stuff in favor of American marijuana. For better or worse, it is reassuring to learn that even the cartels cannot compete with the new marijuana industry in America. What do you think about legal weed beating out Mexican Cartels? Let us know on social media or in the comments below.